We believe that organic farming is more than a job – it’s a lifestyle, a mission and a journey all in one. And while it may be one of the more challenging careers to enter, we believe the rewards are worth it. Organic farmers usually share one thing in common – strong values. The aspiring farmers that come to the Organic Farm School want to work outdoors and be inspired by their work as much as they want to serve their communities through healthy food and to help heal the earth. Organic farming is a respectable career that can fulfill these dreams but only if it’s done with planning and preparation. It takes much more than a desire to grow food and a willingness to work hard… it also takes accepting that farms are small businesses and being willing to research, plan and experiment in finding the right markets, crops, scale and strategies that can bring real sustainability… socially, ecologically and financially. The Organic Farm School works to prepare you for success, instilling a holistic perspective on what it takes to successfully start and manage a small-scale (5-20 acre) commercial organic farm from the field tasks of tillage, planting and harvesting to the office tasks of crop planning, marketing and financial management. Understanding this spectrum of tasks that farmers engage in helps our students get a jumpstart on realizing their farming dreams. 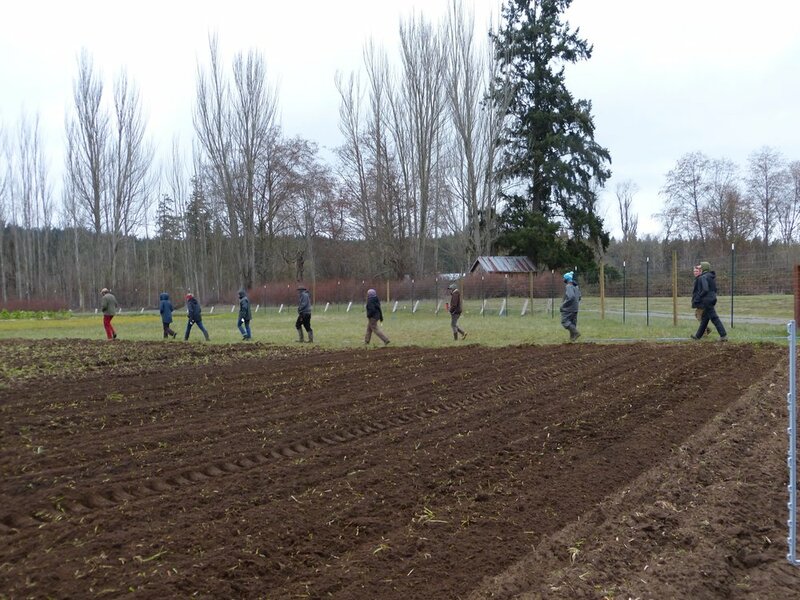 For 30+ hours each week, students learn through working on and managing the OFS Student Farm. 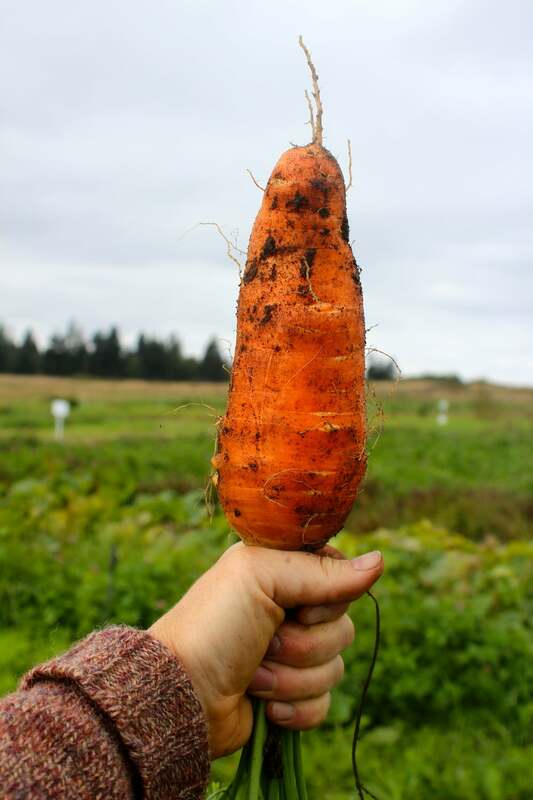 The Farm produces a wide range of organic vegetables, seed crops, cover crops and livestock that are then offered to the community through a CSA pro­gram, farmers market, local grocers and more. Our Farm Man­agers train and guide students in group ses­sions and/or indi­vid­u­ally as needed, and students work both coop­er­a­tively and indi­vid­u­ally to accom­plish the farm tasks. This work includes all aspects of running the farm from planning to planting to selling and involves all field and office tasks. Farm respon­si­bil­i­ties are rotated within the group to ensure that each par­tic­i­pant has an oppor­tu­nity to expe­ri­ence all aspects of the farm. Once students establish a strong foun­da­tion of skills and con­cepts, they fur­ther develop their skills by tak­ing lead­er­ship over a portion of the farm and making farm man­age­ment deci­sions with feed­back and assis­tance from the Farm Man­agers. (Please note: accom­plish­ing farm work is a phys­i­cal activ­ity that requires par­tic­i­pants to be phys­i­cally active and out­doors on a daily basis for eight months. Before apply­ing, please con­sider your abil­ity to per­form this level of activity). Aaron, our lead instructor and farm manager, checks in with Corbin on the ideal size for a bunch of spicy greens to send to market. For 10+ hours each week, participants take part in classes and discussions on the production, business, ecological, and social concepts that lie behind the practical work. On Monday mornings, everyone heads out for a 'Farm Walk' where the class does a thorough observation of the whole farm and discusses changes in the fields, crops, livestock and equipment while strategizing management options and planning the upcoming week’s work. On Tuesday mornings and Friday afternoons we meet in the classroom for lectures and discussions based on our farming and business curricula, and we review and refine the farm’s business, marketing, and record keeping aspects. We also check-in regularly to discuss and develop our communication skills and foster a group dynamic that is positive and productive. With a small class size of 12 students, each class becomes a tight team that learns how to get things done while having fun! 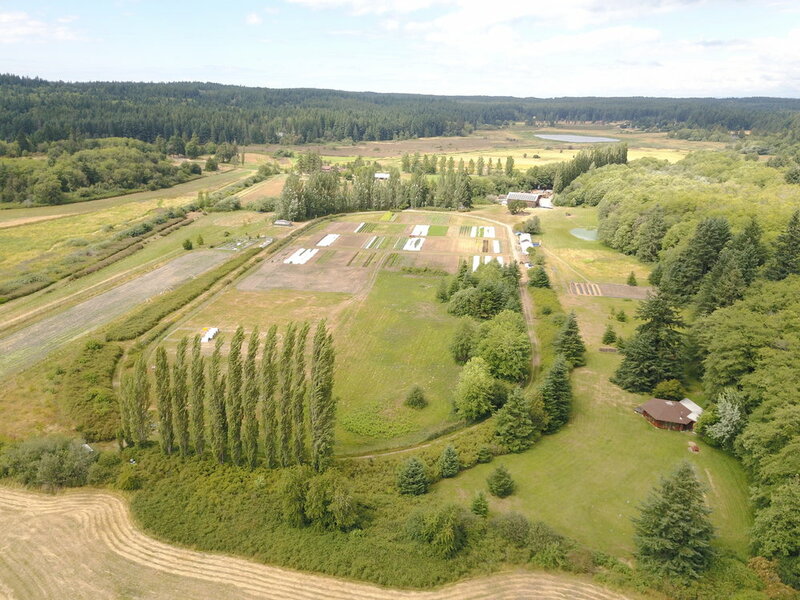 Supplementing the classroom time are the diverse field trips we take to farms on island and around the northern Puget Sound region. Exposure to these farms, who vary widely in scale and specialty – including produce, grain, pastured meat, dairy products and more - broadens our students' perspectives of what a successful farm system can look like. It also helps them synthesize what they’ve learned and encourages them to think critically when figuring out what type of farm business they'd be most interested in pursuing. Toward this end, participants work independently on their personal business plans and a group farm-based research project. After initial group discussions on the projects, participants work independently on their own time and meet individually with staff every few weeks to review the progress made and determine the next steps. When completed, participants share and present their reports to the group. Our goal for the business plan project is to support participants in thoroughly analyzing their personal farming goals and to help them create a realistic plan towards accomplishing them. The farm-based research projects will be focused on developing or improving aspects of the student farm. Most pro­gram­ming occurs Mon­day through Fri­day, 8-5, although par­tic­i­pants are required to help with week­end chores and farm­ers mar­kets on a rota­tional basis (gen­er­ally one of every 4 week­ends) as well as attend several sea­sonal fes­ti­vals and fundraisers. Over the past 9 years, the Organic Farm School has developed its course curriculum to give students a thorough and practical understanding of how to start and manage a small scale organic farm. You can see our list of classes here. We use variety of resources in our classes including the two CASFS curriculum modules Organic Farming and Gardening Curriculum and the Direct Marketing and Small Farm Viability Curriculum; SARE's Building Soils for Better Crops, MISA's Building a Sustainable Business, and Richard Wiswall's The Organic Farmer's Business Handbook, among others. For 2019, the program will run 35 weeks from March 18th through November 15th. Most students stay adjacent to the farm in the Student Farm House. The large house can house 6-8 people and costs $375/mo ($3000/total) for a shared bedroom including all utilities. Those wanting more private accommodations usually find other rentals on the island. Farm produce is abundant and available free to all students. All other food and personal expenses are the responsibility of the student. Please plan accordingly. Tuition for the 2019 program is $6500. While the actual cost of providing this program is substantially higher, produce sales, grant funding and donations have allowed us to keep the cost for this eight-month intensive program at this reduced rate. We often are contacted by aspiring farmers for whom this tuition continues to be prohibitive and we are fortunate to be able to offer several need-based scholarships to support these students. Applicants in need of a scholarship must successfully go through the school application process before receiving the scholarship application. Please contact us if you have any questions! Potential students who are comparing our program with paid farm internships often have questions about the differences between these options as they seek to understand the value of the tuition. The main difference is that our focus, from the classroom to the farm, is on helping our students gain the skills and concepts they need to manage a production farm, while in most farm internships, education happens primarily through focusing on making sure individual farm production tasks gets done. Generally, farm internships provide a good hands-on experience of farming and training in the practical skills of basic crop care and harvest. Depending on the farm, internships can also provide some classes and conceptual education as well. Those who are primarily seeking to experience farming, and see if it’s a lifestyle they like, should consider an internship. 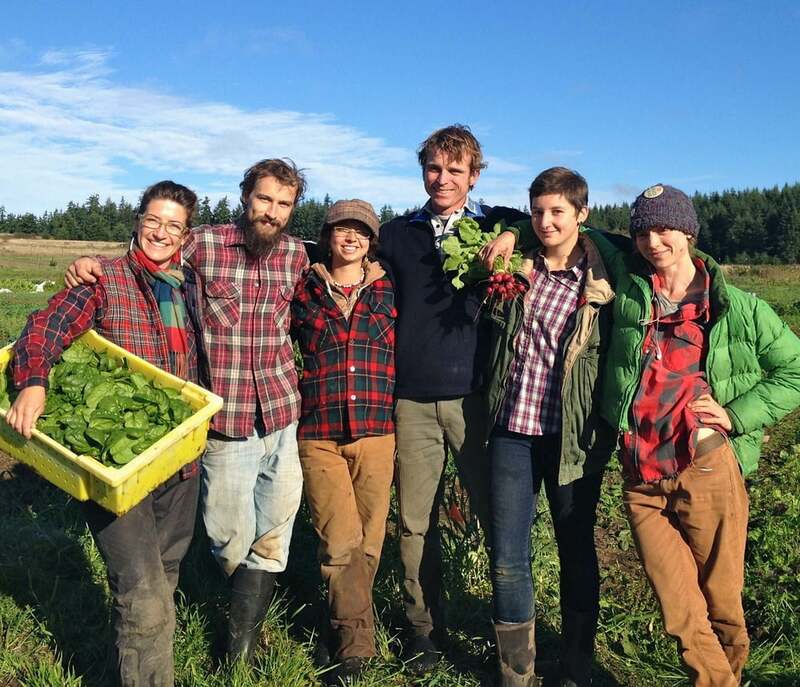 For those who know they want to start or manage a small farm, or scale up a large garden to a small farm, it is difficult to get the broad education you need from most internships, and we recommend considering an educational program like the Organic Farm School. While paying a program tuition is a significant investment, starting a farm is an even larger investment and we believe that our graduates more than earn back this expense through minimizing costly (and common) mistakes, producing and selling more product and doing it all with more confidence and less stress than if they had not had their training. Mentorship and continued relationships after graduation, as well as placement with local farming opportunities. Guidance through the creation of a personal business plan. Experience with additional farm enterprises beyond vegetable production, including seed crops and livestock. Engagement with research at the forefront of the industry: reduced tillage, regionally specific variety trials, plant breeding. Frequent field trips and farm visits to learn about different farm systems and make connections with other farmers and industry professionals. If you have any questions about our program or would like to learn more, please contact us!